Even Lower Prices Now: Promocode has been automatically applied. 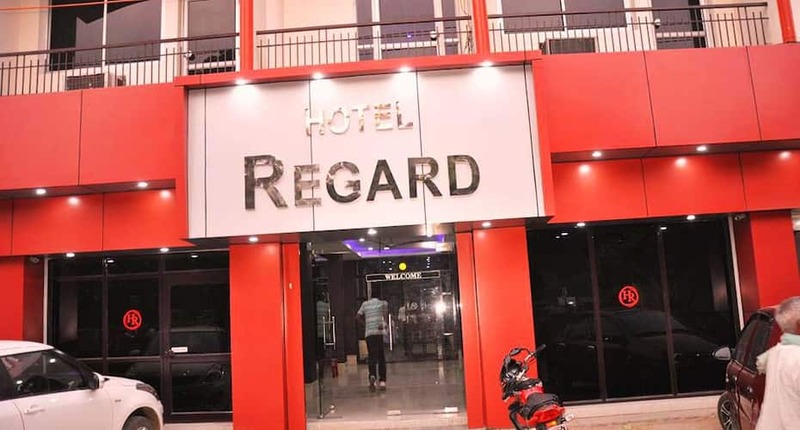 Hotel Regard features internet access to its guests. Varanasi Bus Stand is 1 km and Shree Shakti Devi Temple is 1 km from this hotel.This hotel in Varanasi has a room spread over a floor. Situated in Varanasi, this hotel offers an air-conditioning, television, room heater, attached bathroom with hot and cold water supply, bottled drinking water and a laundry. An in-house restaurant, fire place in lobby, front desk, iron board (on request) are some of the facilities offered by this hotel in Varanasi. Along with 24-hour room service, laundry, room service,24-hour room service, laundry and a room service are rendered to the guests.Patrons may enjoy tourist attractions such as JHV Mall (1 km) and Maa Laxmi Alankar Mandir (1 km). Aranasi Junction is 1 km and Lal Bahadur Shastri International Airport is 21 km away from Hotel Regard. Full refund if you cancel this booking by 30-Apr-19 12:00 PM IST. No refund if you cancel this booking later than 30-Apr-19 12:00 PM IST. You might be charged upto the full cost of stay (including taxes & service charge) if you do not check-in to the hotel. Situated in Varanasi, this hotel offers an air-conditioning, television, room heater, attached bathroom with hot and cold water supply, bottled drinking water and a laundry. Best hotel with cheap prices. I have stayed here twice and the second time tehy were more bifgger they have converted loer floor into lobby and they have closed all the ols shopes from there. Good services and food rooms very economical and well maintained and they have very good food as well. Cebtrally located and just walking distance from mall and other tourist places.